So, you wanted more Wonder Woman movie marketing well, Warner Bros has delivered. Wednesday, Gal Gadot revealed a new trailer, its sixth since last Wednesday, along with a new stunning poster. The newest trailer extends some scenes from previous trailers like the stylish fight scene in the tower and more battleground warfare. The slo-mo leap of Wonder Woman crashing through the window is pretty exhilarating. There's a slight tease of the Ares fight as she blocks a stream of lighting presumably from him. We get more and more footage with every new trailer and it seems to be coming together into one exciting film. 'Wonder Woman' could be the DCEU film to please fans and critics alike. 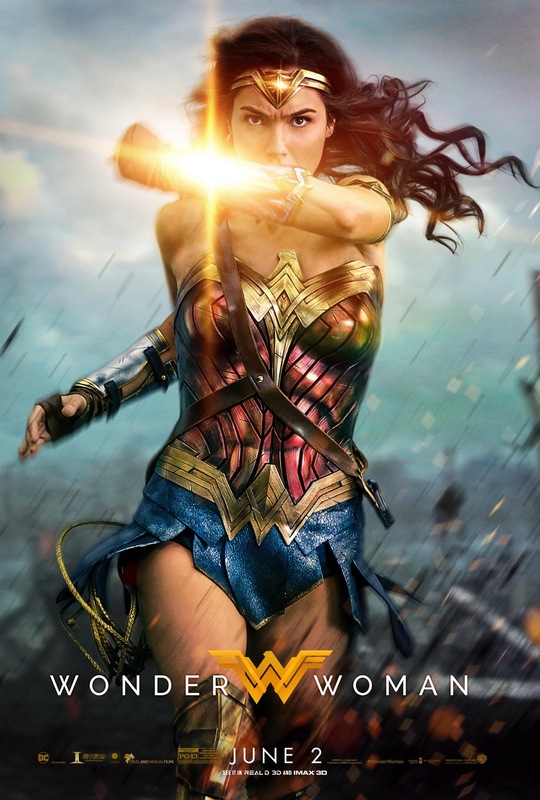 The film is directed by Patty Jenkins, with a screenplay by Allan Heinberg and Geoff Johns, from a story by Heinberg & Zack Snyder and Jason Fuchs, and stars Gal Gadot, Chris Pine, Connie Nielsen, Robin Wright, Danny Huston, Elena Anaya, Lucy Davis, Saïd Taghmaoui, Ewen Bremner, and David Thewlis. Wonder Woman is scheduled to be released on June 2, 2017, in 2D, 3D, and IMAX 3D.